After dealing with the typical chaos and hectic schedule that always seems to accompany the holidays, I was finally able to sneak out the other evening for a quick photo break. 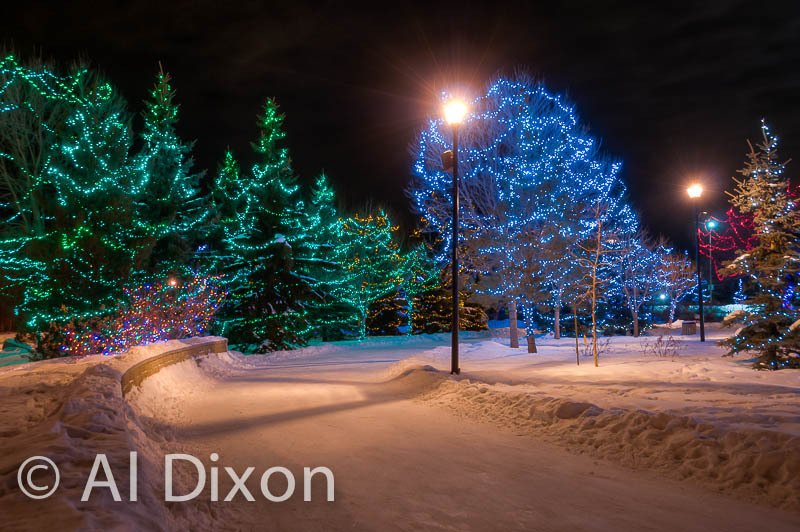 With gear in tow, I headed over to Central Park in Spruce Grove, AB. 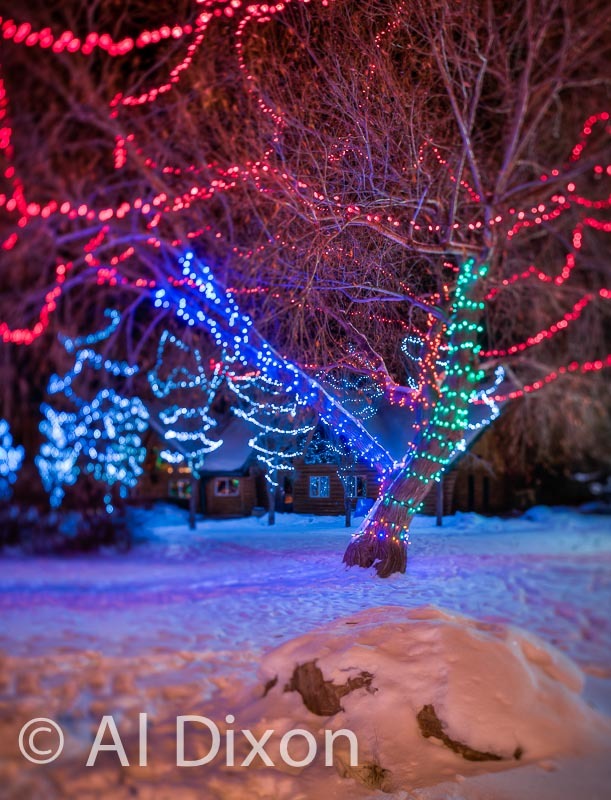 The park is always wonderfully lit for the festive season, and has long been a favorite winter location for me. Here you can see the skating path that winds among the well lit trees. One of the advantages of shooting at night with long shutter releases is that the skaters are not picked up by the camera as they skate through the shot. I then had to break out the 24mm tilt/shift lens to get the shot I wanted of a particularly well lit, and very large, tree. I had to use the shift feature of the lens and create a vertical panorama of it. While set up for the shot, I decided to take a 2nd shot utilizing the tilt feature to alter the plane of focus. As you can see, it creates an interesting out-of-focus effect. I finished up the evening shoot with one of my favorite subjects, a lone park bench.